I have some nice news to report this afternoon. 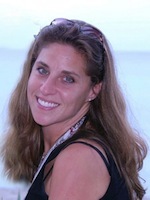 Bari Meyerson, my former Account Executive at Moniker, has been hired by Enom as a Senior Business Development Manager. Having a trusted account manager at a domain registrar is reassuring to me, and I am excited that Bari moved to a company where I have an account and do business. As a result of this hire, I plan to transfer a group of names over to Enom. Congratulations to Bari and Enom on this smart hire. Bari Meyerson who left her Sr. Account Manager position in December 2011 at Moniker, has accepted a new business development position with Seattle based registrar Enom. In her new role, Bari will be responsible for growing/managing Enom’s existing domainer client base as well as targeting domain investors. In addition, Bari will be focused on identifying strategic opportunities around domain parking, premium names, and value-added services. During Bari’s 5 years at Moniker, she managed a portfolio of their top 500 registrar clients and assisted in the domain sales of Scores.com, Poker.ca and Dating.com. Thanks for the post/shout out Elliot. It’s nice to be back in the game and I look forward to hitting the ground running! Mazel Tov, Bari will be successful no matter where she works. Lots of success to her. Gosh, more and more people moving to my neighborhood. Bari is great. Very happy for you, Bari. Good luck in your new position. One of the hardest-working professionals in the biz. I’m feeling it over here too, you virtual Romeo you !